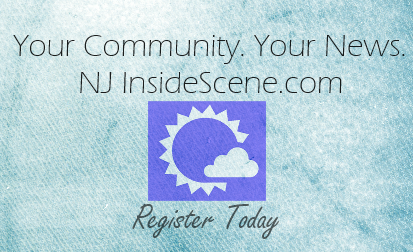 SUSSEX COUNTY, NJ – Every day, 2,000 teenagers use a prescription drug to get high for the first time. They’re accessing these drugs in the comfort of home; it can be as easy as opening a cupboard, drawer or medicine cabinet. The good news – there are steps you can take to help protect kids from prescription drug abuse: monitor, secure and dispose. Since 2009, Sussex County residents have been working with law enforcement around the county to clean out their medicine cabinets in an effort to address prescription drug abuse. 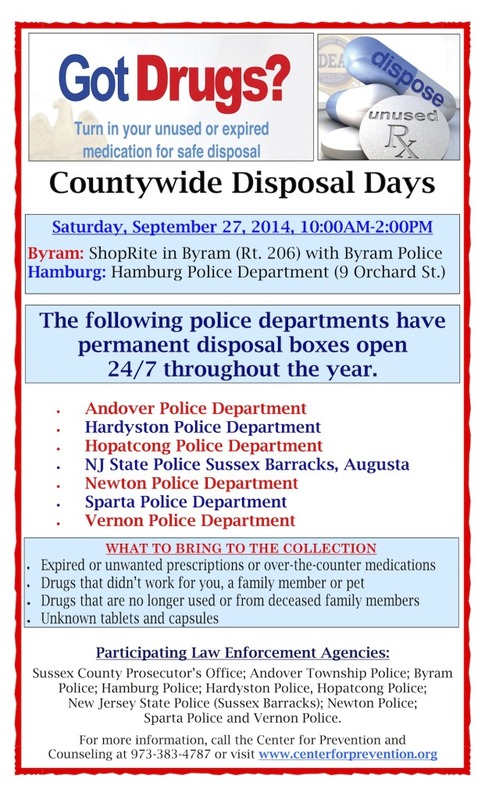 On September 27th from 10 a.m. to 2 p.m. Sussex County law enforcement officers will provide another opportunity to prevent prescription and over-the-counter drug abuse and theft so that people can rid their homes of potentially dangerous expired, unused, and unwanted medications. Sussex County residents are urged to clean out their medicine cabinets and bring their medications for disposal to sites available around the county. There are 7 permanent locations open 24/7/365 and another two locations available on September 27th. The service is free and anonymous, no questions asked. In Sussex County, everyone can help to dispose of medications safely. Mark your calendar for September 27th to do a fall cleanup of medications in your home!